I have always lived in small spaces with my family. Baby 1 lived in a 550 square foot, one bedroom apartment and two parents. Baby 2 lived in an 1100 square foot condo with baby 1 and two parents. Now my family of 5 lives in a small house. Thus I find it necessary, as always, to purge toys at least four times a year. In fact, as a rule, I tell my kids that for every incoming toy there must be an outgoing one. If I knew then what I know now, I would NOT have picked 80% of the toys that I bought. Instead, I would have saved up for this short list of toys. Another idea is to have a wish list that close family friends and relatives contribute towards. At the end of day, toys that stand the test of time are actually less expensive on a “cost per play” basis than a toy that gets purged within the year. These toys really do last. When I got our kitchen (stove, sink and hutch) from a preschool, the kitchen set was probably at least 25 years old. After a quick clean up, it was as good as new. My kids played with it non-stop for 5 years, and then donated it to another preschool where it will have another 50 years of life, no doubt. I don’t own the unit blocks but her kids play with them non-stop at preschool. They are great too. Pragmatic Mom learned about these gems on a playdate: Translucent Magna Tiles. You can buy them online at amazon or find them in a local toy store. They are pricey at around $120 for the 100 tile set, and sadly, 100 tiles isn’t quite enough. Two sets are much more versatile. But this toy is amazing. The tiles snap together magnetically to create anything from a castle to a disco floor. My preschool uses them with a light table so that kids can stack tiles to learn about combining colors. That’s fun but a light table is NOT coming into my house! Pragmatic Mom welcomes your ideas of investment toys that you thought were worth the money! 4) Cash register, $40.37. We had to buy more play money and the yellow piece keeps getting lost that my kids still play with this! 5) Melissa and Doug cutting food box, $16.30. My kids love this toy and we still have all the pieces after more than 4 years! 6) The plastic picnic food and the fruit and vegetable set all work really well with the kitchen set. These sets from Learning Resources cost about $22.99 each and were worth every penny! 7) My kids STILL are playing with the toy blender ($20.66) and mixer ($20.85) but now they are mixing their own concoctions and drinking them. 8) Razor Scooter ($28.50). We have three and it never seems like we have enough especially when friends are over. Just make sure everyone wears a helmet and label your scooters because ours always seem to get mixed up with our neighbors! They come in different colors as well. 9) iPod Touch ($179.99). My girls received the iPod Nano last year for Christmas and I have to admit that it’s been well utilized all year. They don’t mind watching movies on the small screen which meant we didn’t have to lug portable DVD players on vacation. They want the iPod Touch…but we’re not upgrading just yet. 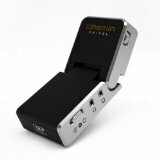 The gadget to the right of the iPod is called the Cinemin Swivel Multimedia Pico Projector. At $305, it’s pricey, but I put it next to the iPod because you use it with your iPod to project movies onto walls. My middle daughter got it recently for Christmas, and she has been using it non-stop. It’s a cool gadget, but expensive. 10) Nintendo DS ($149.99). My girls had earned a DS a few years ago by completing a complete workbook during the summer (bribery works!). Their little brother got one for his 4th birthday and our neighbor’s son, two years over, came running over after perusing our recycling bin saying, “he can’t have a DS yet; he’s too young!” Be it as it may, my son does know how the use his DS. My mom friend said her son loves the video feature in the new models. 11) Mini Kick Scooter. My sister in California gets the cool stuff. She raves about this. Similar to the Razor scooter but requires more balancing. Goes about as fast as a Razor Scooter. $80.